This is our step-up board that you want to have when the waves get big, fast, heavy and hollow. It will be your best friend in those perfect days at your favorite local spots or when you travel to those dream world class waves. 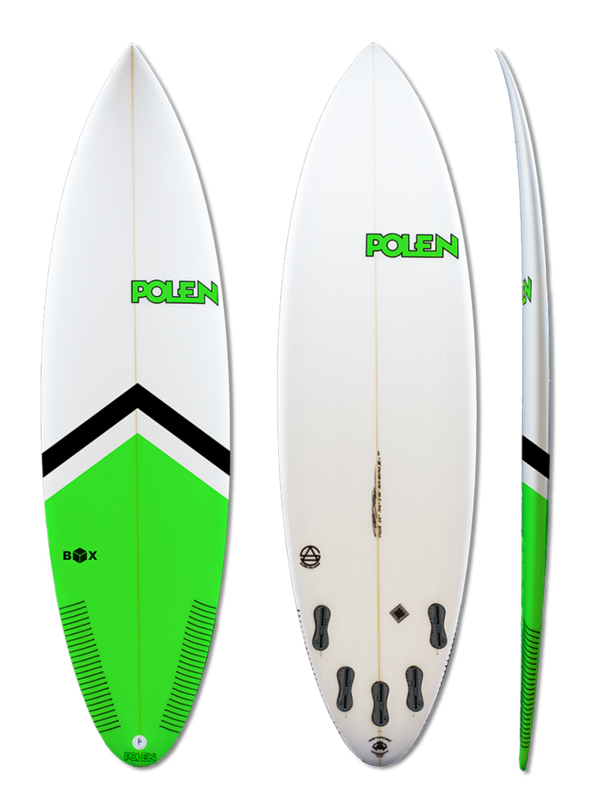 This beauty will help you to paddle in faster and safer, make some fast and controlled turns, and hopefully get you to score some decent size barrels. Featuring mid/low rocker, we pushed the wide point forward and added some volume in the nose area for better paddling, speed and control. With single to double concave, medium rails but thinner at the back end, The Box should be ordered bigger, wider, and slightly thicker than your everyday shortboard. You can order it with a round, thumb or round pin tail, and we recommend the 5 fin set up. If it's hollow, fast and scary... we've got you covered!